In last few months, the Ebola Virus has been one of the Health issues some African countries are currently dealing with. As all efforts are being made to treat the affected persons, there is need to sensitize people on the how to ensure the further spread of the virus is avoided. 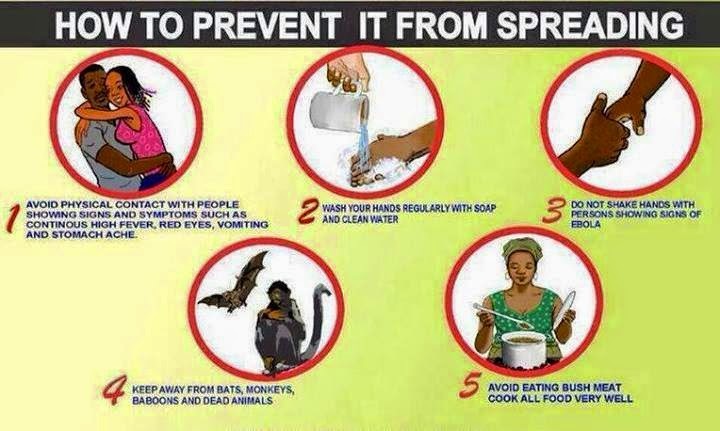 The info graphics below was shared by Information Nigeria, on how to avoid the continuous spread of Ebola virus and how to identify the symptoms. Click picture to get larger view. Knowledge is power, please educate someone and share!